Given our stoned windscreen incident so early on the road, we were cautious of other traffic and pulled right over when any vehicles, particularly trucks, needed to pass. 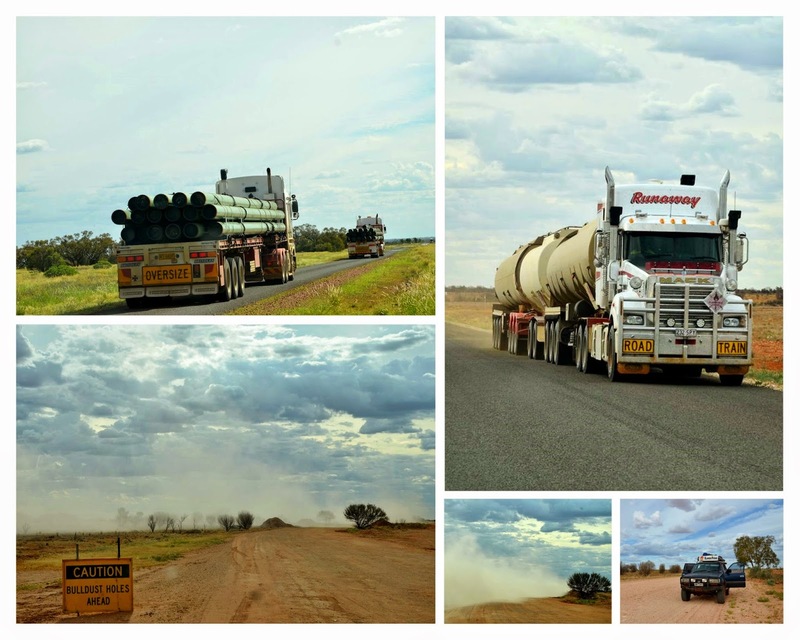 As well as the pipe-carrying trucks, there were smaller 4WDs presumably making their way to the gas and oil fields en route to South Australia. Most of the road was sealed (albeit varying in width) but there was a long unsealed section which included road-work detours. As an aside, I thought I filmed a short clip of the bull-dust section. On reviewing "footage" last night, it seems I instead filmed around half-an-hour of my right leg while recording our various in-car discussions!